This book reveals the parallel "other" narrative of world history to help us make sense of today's world conflicts. 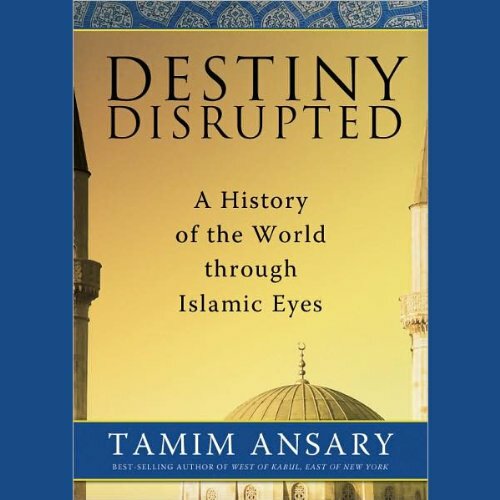 Ansary traces the history of the Muslim world from pre-Mohammedan days through 9/11, introducing people, events, empires, legends, and religious disputes, both in terms of what happened and how it was understood and interpreted. ©2009 Tamim Ansary (P)2009 Blackstone Audio, Inc. This book is a must read for anyone attempting to understand the central news of our era - the ongoing clash between the Christian and Muslim worlds. This is not a history of the religion of Islam. It's a history of the people, events and society of the Islamic culture that presents a vivid road map of how the world has gotten to the place it is in today. This edition is beautifully narrated by the author himself, told to the reader as if you are sitting in the room with him and he's telling you a story. The effect is to pull you in completely as you listen to the founding of Islam with the life of Muhammad, the bloodbath that is the succession story of the generations that followed and splintered into various factions, the clashes with the Christian West and Mongol East, the impact of Western industrialization and colonialism on the Islamic world and the explanation of how we got to Sept. 11, 2001, the wars in Palestine, Afghanistan, Iraq and the standoff with Iran. The book answers the question of why we are at the place we are in the ongoing clash of the Western world and Islam. History books are frequently dry and factual, even when not written as textbooks, and when they're not, they tend to reveal the author's biases or axes to grind. Tamim Ansary, however, sets out to tell the history of Islam through Islamic eyes, not as an apologetic for Islam that ignores its less edifying historical episodes and its troubled present, nor as a Westerner viewing Islam as, at best, an exotically misunderstood Oriental tradition, and at worst, the religion of terrorists and women-in-burkas. Tamim Ansary, an Afghan-American, suggests that Islam and the West have for much of history existed in two parallel worlds, only rarely intersecting until the violent last few decades. The Dar-al-Islam, or the entire region that Ansary calls the "Middle World," between the European-dominated West and the Chinese-dominated East, grew, expanded, experienced theological and political revolutions, technological and scientific and literary evolution, and several foreign invasions much more significant than those Crusades that everyone today thinks were the most significant East-West interaction before the modern day. The vast majority of Muslims, even during the height of the Crusades, simply didn't notice the West, which for most of Islam's early history, was an impoverished backwater land of savage, squabbling kingdoms while the Middle East and North Africa was full of wealth and education and glorious cosmopolitan cities. The Crusaders seized some cities and killed a bunch of people and certainly left some profound historical legacies, but never really materially affected the Islamic world nearly as much as they think they did. The Mongols, on the other hand... they messed the Islamic world up. 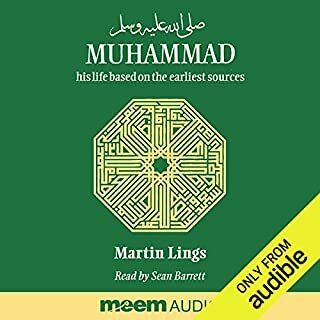 Before listening to this, I vaguely remembered the Ummayads, the Abbasids, the Ottomans, the various Caliphates and Sultanates and Emirates that rose and fell from immediately after Mohammad's death until the 20th century when Muslim nation states began to congeal into more or less their present forms. But Destiny Disrupted tells the entire sweeping epic with a historian's accuracy but a storyteller's verve. You will actually get caught up in the rise and fall of dynasties and the shifting epicenters of Islamic scholarship and Arab-African-and-Persian power, the changes in Islam as it goes from populist movement to institutional social paradigm to bureaucratic theocracy. Islam is a complicated religion, like Christianity, with its sects and schisms and interactions with the power of the state. Yes, to Muslims, religion has never been a separate entity from the state, as it came to be in the West, but still, Islam served the interests of rulers, got coopted by those in power, brought down those in power, caused fragmentation and changes in government according to different factions' understanding of how a proper Islamic state should be run, and so conflicts between clerics and kings did play out in their own way in the Middle East too. If you want to have more than a superficial understanding of how Sunnis and Shias split off from each other, and why India has been the location of so much Hindu-Muslim conflict, and of course, how the United States went from a modern nation Muslims admired and respected in the early 20th century to the Great Satan it is today (yes, a big part of the reason is Israel, but that's not the whole story, and most of the rest of the reason is oil, but that's still not the whole story), then you will get it here, but as the title indicates, this is a history of the world through Muslim eyes, and so the West really only comes into the picture towards the end. 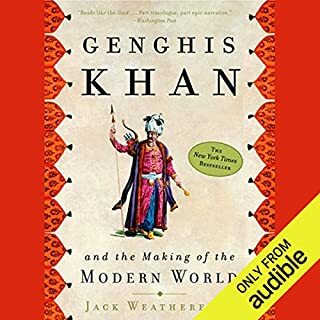 There is a huge amount of history that took place between Europe and China that most Westerners know little or nothing about, and this book will not only tell you about it, but make it interesting. The author's style is a great asset to this narrative. Ansary is not above tossing in wry commentary now and then, neither sparing Westerners nor Muslims from apt observations about historical hypocrisy and inconvenient truths. Ansary does not take a religious position — he obviously grew up as a Muslim in Afghanistan, but it's not even clear from his website whether he is a practicing Muslim today. So he doesn't try to "sell" Islam (and specifically calls out the historical revisionism of those liberal Muslims who today insist that "jihad" has never "properly" meant violent struggle against infidels — Ansary points out that yes it has, many times in history), but neither will he satisfy those of an anti-Islamic bent who insist that Islam is fundamentally and inherently a religion of violence and oppression and intolerance of unbelievers. Those who say that Muslims are incapable of peaceful, heterogeneous coexistence in societies that value reason and democratic principles ignore the fact that such Muslim societies existed for centuries. If you are a history buff and are interested in this little-served area of history, then I think you could hardly do better than Destiny Disrupted. You will be truly educated about fourteen centuries of history spanning a huge chunk of the world. It's a really good read. If you're looking for answers addressing contemporary issues - how Israel came to be and why it's an unending canker sore to Muslims worldwide, the origins of Wahabbism (Osama Bin Laden's brand of Islamic fundamentalism), the roots of the Taliban, how the West came to become the "Great Satan" and what Iran's problem is (and what Afghanistan's problem is, and what Syria's problem is, and what Iraq's problem is, and what Egypt's problem is....) then you'll find those here, mostly in the last few chapters, but this is not primarily a book dissecting modern Islam/Western issues. It's about the whole history of the world that happened before the West was important. Excellent book, highly recommended, an unreserved 5 stars. I would also like to single out Tamim Ansary's narration. Usually, an author narrating his own book is not a positive for me. Even great writers are rarely good narrators. But Ansary knows his material and puts all the right humorous and serious tones into his reading, and it really does sound like the author simply sitting there telling you this long historical tale, engagingly and interestingly. I don't think I ever expect to explore a serious historical topic like this one and come away totally passionate about both the author and the narrator (which in this case are one and the same), but this book is the exception to almost every rule ! Ever since 9/11 (and I was in lower Manhattan on that day) I have been struggling to understand why the West and the Middle East are at such a terrible pass, why they seem so angry at us, and why the enmity seems to be so "stuck." I came to this book hoping it might shed some light on this complicated topic, but I admit rather shamefacedly that i was somewhat skeptical because the author's name looks Arab-- well of course he is an Arab, but to see the history of the world through his eyes is an extraordinary experience. I was born and will always be an Anglo Saxon Protestant, descended from a long line of Brits and Danes, and I will always be true to the faith of my fathers. But I am also a well educated person with an inquiring mind, and I found this book immensely satisfying. The author as narrator adds a special dimension to the experience of reading his book because his tone is so reasonable, just as reasonable as his prose is well reasoned, and the combination of the two is powerful in a gentle way that will not alienate even those of us who think that the whole concept of jihad is revolting, heartless and inhumane. This gentlemanly scholar seems relatively unbiased, as his story sets forth many aspects of Islamic history that are no less pretty than some of the excesses of the "Christian" Crusaders. His book will inspire me to read more about the history of Islam and the Arabs; in fact on my nightstand I now have a paperback called "The House of Wisdom: How the Arabs Transformed Western Civilization"-- I think the ultimate measure of this book is that the author has intrigued me enough that now I want to learn more. His book is a great starting point on the road to understanding the entire mess in the Middle East, and also to the realization that the jihadists do not represent all Muslims, much less all Arabs. Cannot recommend this too highly ! Speaking as someone who'd like to think of himself as well-educated, I downloaded this book hoping it could fill a few gaps in my knowledge of world history. Little did I know how little I knew. Destiny Disrupted is a fantastic book -- it really gives the listener a different perspective on the last two thousand years of human history. No, it's not encyclopedic -- after all, it's subtitled "A History of the World through Islamic Eyes," so it's as light w.r.t. goings-on in Asia and sub-Saharan Africa as most history classes in the U.S. tend to be. Still, it's a helpful counterpoint to the usual perspective you'll hear in the "news" media, where everyone on the planet is assumed to be just the same and hungering for the very same things. If I had to criticize anything about the book, it'd be that Ansary skips over two less-flattering episodes in Islamic history -- namely, Arab involvement in the African slave trade, and Arab collaboration with the Nazis. Still, all-in-all this is a well-written book, well-read by the author himself. The listening experience is fantastic, you'll feel like you're sitting side-by-side with the author as he patiently explains this all to you. Best of all -- you won't see the world the same way after you're done. 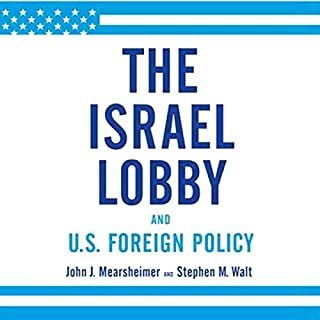 In the introduction, the author says that he wrote this book to be more like a conversation that you would have in a bar than a dry history book listing a series of names, facts, and numbers. Unfortunately, I don’t think the author succeeded in maintaining an informal tone. Instead, the book frequently entered passages dense with years and dates and names that finds the nearest exit in the reader's mind (or is it just me?). For exactly this reason, I repeatedly felt my mind wander off to other subjects. Having said that, this book is good in the sense that the author attempts to, and partially succeeds in, filling a void. I was actually a bit embarrassed when I realized how little I knew about the origins of Islam. 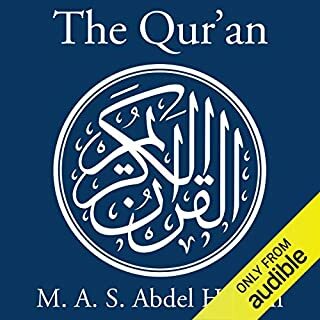 Before reading this book I knew that around 600 AD a dude named Mohammed claimed to be the prophet of Allah… and that he convinced a large portion of earth's population that this was indeed true. I realized of course that there was more to the story, but this book made me realize just how little I knew. This lack of knowledge I blame primarily on the school system which is too biased towards western history. This means that I am probably not the only one who don’t know who Jamal Al-Din Al-Afghani, despite the fact that he has been as influential as Karl Marx in shaping our world as it looks today. I also became wiser regarding the distinctions between distinction between Shia and Sunni (I would have been wiser still if I hadn’t drifted off occasionally), and how these relate to Wahhabism, which is the most extreme form of Islam and the ideological origin of ISIS. Interestingly, even in their infancy Wahhabists made a habit of killing fellow muslim for failing to convert to Islam. The confused victims, who thought they were already good muslims, failed to realize that Wahhabists does not consider the typical muslim to be a muslim at all. I cannot say that I enjoyed this book very much. I still felt obliged to finish it, partly because I knew (know) so little about Islam, and partly because I paid for the book. I am glad that I did finish it though, because now I am a little bit less naive about Islam, which is a belief system that has shaped humanity. I can’t remember the history of the Islamic world rating more than a few pages in my high school AP World History textbook. And those pages were about the things that related directly to the story of Europe and the Americas, kthxbye. Oh, and oil. This book is an excellent corrective for the distorted, limited picture most Americans have of the Islamic sphere, revealing it as a complex and fascinating parallel universe that had developed largely apart from Europe. This culture rose to great heights while most Europeans still lived in ignorant medieval squalor, became fragmented by Mongol invasion and the politics of empire in successive centuries, and was finally encroached upon by the modern West in the 19th and 20th centuries, an encounter that it’s still in turmoil from. Tamim Ansary, an author and lecturer, turns a millenium plus into an informal, engaging narrative, as a good professor would. There’s even some humor (“pointing his cannons at Parliament and blowing it up was just the shah’s way of showing that he some objections to the new agreement”). Good historical narrative doesn’t judge the past from a modern perspective, but illuminates it as a complex set of relationships that evolved over time. 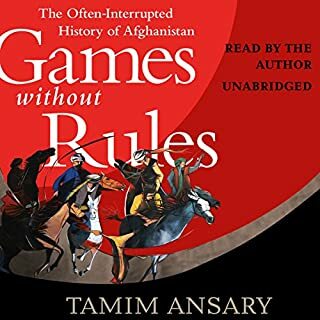 There are many terms here that I’d heard before and had a vague sense of the meaning of -- Sunni, Shia, Sufi, Assassin, caliphate, 12th Imam, vizier, harem, Mamluk, janissary, Safavid, Ottoman, Great Game, Raj -- but Ansary puts them all into their place. Thus, it became easier for me to understand how Islam is often (without irony) called a “religion of peace”, while also having a warrior aspect. During and following the prophet Muhammad's life, the faithful saw themselves as creating a new vision for society, founded on peace, justice, self-discipline, religious tolerance, and egalitarian brotherhood (even sisterhood) for the once fractious people of the Arabian peninsula and the Levant. Muslims saw God’s favor as being demonstrated by their success at liberating the oppressed inhabitants of neighboring lands and God’s disfavor as being shown through military loss -- which was to have far-reaching implications. Ansary also helped me see how Islam’s source ideas played out in attempts to codify them into a framework for daily life. Elaborate bodies of law developed and scholars saw a unity of reason and divine revelation, bringing about advances in science and mathematics, and re-introducing classical Greek logic to the world. Of course, these noble goals did not prevent the usual conflicts between higher thinking and human nature from taking root -- politics, greed, war, dynastic feuding, cultural chauvinism, overly conservative thinking -- and so Islam fragmented into different visions. Mystics, enlightened progressives, and traditionalists all found footholds in different parts the greater empires. Interesting stuff. The latter chapters, which deal with the Muslim world’s encounter with the West, are the most revealing. I’d never fully considered how the Protestant Reformation opened the door for a culture of individualism and mercantilism, but it did, and soon European traders and bankers were making inroads into stratified empires in Asia Minor, Persia, and India, making deals that that decadent rulers couldn’t refuse and securing more and more privilege for themselves. Never underestimate the corrosive power of loans! While Muslim intellectuals and secularists came to see the future as lying in the kind of democratic, constitutional governments that the west had (as Turkey is today), a combination of cynical Western imperialism and rising fundamentalism among large, impoverished lower classes that saw their elites as selling out on God’s instructions (with no pope-like figure to intermediate), poisoned this dream in many places. Obviously, terrorism can’t be justified under any system that claims respect for the innocent, but the resentment and sense of a stolen destiny that boiled over into extremism (enabled by oil money) makes more sense to me now. For people who enjoy history and know that there are different ways of telling it, depending on who’s in the “center” of a narrative and who comes crashing in from outside during Act Three, I can’t recommend this one highly enough. A wonderful perspective to learn. Where does Destiny Disrupted rank among all the audiobooks you’ve listened to so far? I read a great deal on the middle east and spent 8 years living in the area as well. Trust me when I say that this book fills a gap that so many other narratives have missed. If you are interested in learning about Islam from a historical perspective this book is a must!!! Trust me BUY IT! This is a remarkably good book for anyone interested in learning about history of Islam. Mr Ansary presents historical facts in a style which is easy to follow. He maintains the neutrality of an independent observer of the story without inserting his own biases into it. I was born and raised as a Muslim. I thought I knew history of Islam but this book has brought a wealth of information which is all new for me. I have learned a great deal about decades of Islamic history from this book. I am going to listen to it and read this book again. It cuts through a lot of stereotypes and misinformation about Islam and Muslims. I will highly recommend this book to anyone but specially to Muslims who want to learn about history of their religion. 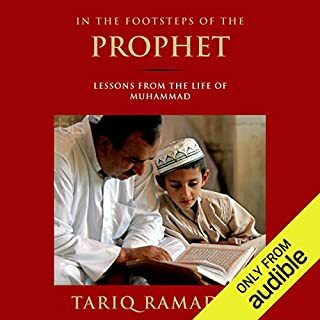 Listening to Mr Ansary narrate this book was like having a knowlegable and learned friend explain the historical facts in a well informed and calm manner. I congratulate Mr Ansary for compiling such a wonderful source for increasing our understanding of history of Islam. Although I have not had the opportunity to check all the facts in this book (and never will for that matter), anything I researched checked out. Because of the subject matter it is "pro" Islam, and "pro" Mohammed.But not overbearing at all. Definitely gives new meaning to "There but for fortune go you and I." Enjoyed the style MOST of the time. Occasionally, especially toward the end, the amount of detail was overwhelming. Narration was good. Would definitely recommend this book to anyone that wants to see the world through anothers eyes. And maybe, most importantly, to those who don't. I procrastinated listening to this for a while, but devoured it in less than a week once I started. Ansary reads his work well, the pace is fast enough to prevent sections from dragging, but he manages to fit in enough detail to tell the story. What makes this so interesting is that he is not trying to give a comprehensive, detailed account of history, and in some places, he's not even worried about accuracy, so much as he is trying to tell you the history and the stories that Muslims tell themselves. Well worth the listen.